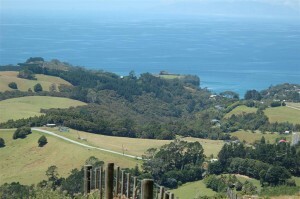 View of Leigh Harbour Valley. Photo credit: Richard Taylor and Skywork Helicopters. Concerned landowners in the valley behind Leigh Harbour and alongside the Leigh Harbour walkway have joined forces to restore the area’s coastal bush and waterways. This effort mainly involves controlling pest plants and animals, with planting on wetland areas and along the coast. 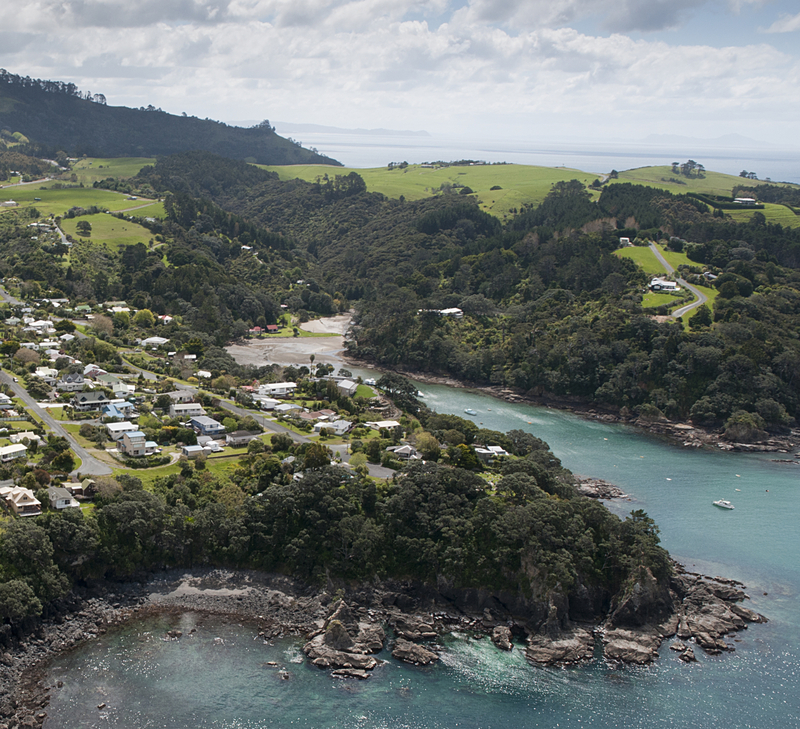 The Leigh Harbour Valley Society Inc. was formed in February 2009, and currently has 30 members. 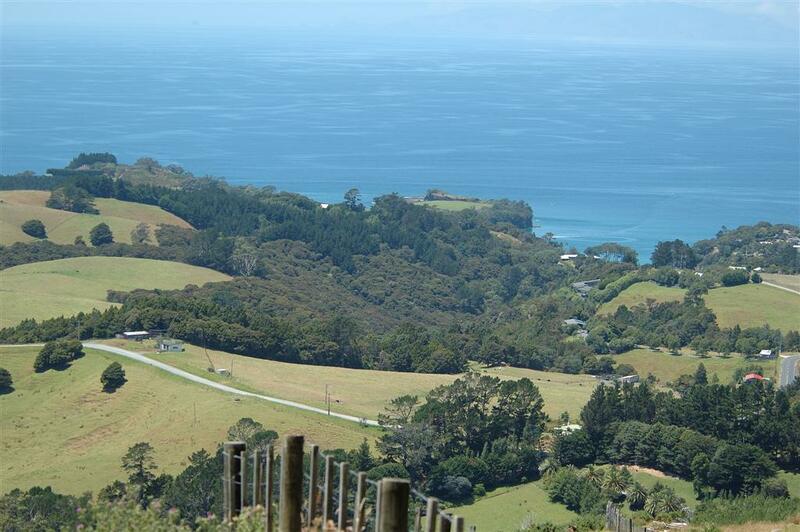 One of the society’s first acts was to commission a forest restoration plan, which was funded by the Department of Conservation and produced by the ecological consultancy Te Ngahere, in June 2009. This report highlighted the serious weed problems in many parts of the bush and recommended control strategies. A contractor has shot a number of rabbits from the farmland at the edge of the bush, and advised landowners on the setup and maintenance of bait stations and traps for possums, rats and stoats. In recognition of the streamside work to date, Wai Care recently awarded the society first prize in its “Native riparian restoration undertaken by a community group” category. If you are interested in participating in any of our working bees, please contact the Leigh Harbour Valley Society co-ordinator, Kathryn Erikson on 021 1566 190. Please note, while the pictures on the individual posts look a bit grainy, if you click on them you will get a better image.